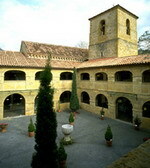 Located on the right bank of the River Sella in Villanueva, Parador de Cangas de Onis - Asturias lies two kilometres from the town of Cangas de Onis. 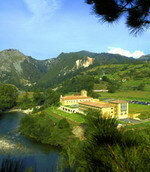 The hotel lies with an easy access to Oviedo-Santander and Arriondas. The hotel offers air-conditioned guestrooms that are well appointed and equipped with modern facilities. Guests can dine at the onsite restaurant, which serves sumptuous Asturias cuisine and here you will have the chance to try the tasty and exquisite dishes of this area. 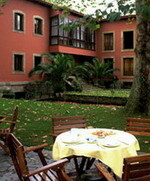 Parador de Cangas de Onis also provides well-equipped meeting rooms for all your business needs. During leisure, you can play a game of golf or tennis.